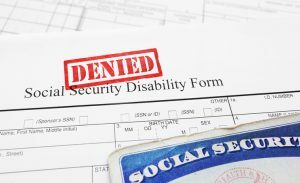 The unfortunate truth is that most initial applications for Social Security Disability (SSD) and veterans disability benefits are denied. However, many issues with denied claims can be addressed with the help of a knowledgeable disability lawyer, who can guide you through the application or appeals process. In this post, experienced Tennessee disability attorney Michael Hartup discusses some common reasons why SSD and veterans disability claims are denied. More than half of first-time SSD applications are denied each year. More than half of all initial applications for SSD benefits are denied each year, leaving many applicants without the financial help they need and confused about what to do next. One recent investigation found that 72 percent of disability claims were denied in Tennessee in 2017. While a denial can be discouraging, there are several reasons why applications are denied. Understanding the reasoning behind your claim denial can help you identify errors in your application that may be resolved during the appeals process. Income limits: There are strict limits in place to qualify for SSD benefits, and if you bring in more income than the limit allows per month, you may be denied for substantial gainful activity (SGA). The 2019 limit for SGA is listed as earning $1,220 or more a month from working. The limit is increased to $2,040 for blind applicants. If you are working over the SGA limit, your application will likely result in a technical denial. Insufficient work credits can also contribute to an application being denied. Medical condition requirements: In order to qualify for SSD benefits, your disabling condition must prevent you from working for one year or more or result in death. 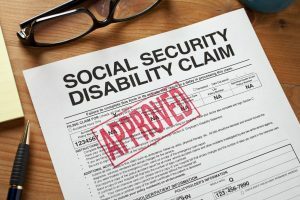 The Social Security Administration (SSA) will deny applicants whose medical condition is expected to improve in less than a year. Your application may also be denied if your medical condition is not considered severe, although the severity of each case is determined individually. Applications that do not have complete medical information will be denied due to lack of evidence; comprehensive medical records better your chances of a successful application. Failure to comply: Applicants who have failed to follow treatment or were unable to provide medical records will often be denied. Your claim is more likely to be denied if you have missed any consultative examinations. These examinations are performed by doctors approved by the SSA and are sometimes required if information on your medical condition is considered incomplete, or if your personal doctor has failed to provide accurate records upon the SSA’s request. Incorrect contact information: Contact information, such as a phone number and current address, are required when applying for SSD benefits. You must provide accurate contact information so the SSA can get in contact with you should they need to discuss your case. If the SSA has incorrect information and cannot find you, your application has a much higher chance of being denied. Drug or alcohol abuse: If it is found that an applicant’s drug addiction or alcoholism is the main contributing factor of their medical condition, the application will be denied by the SSA. While you can receive SSD benefits for conditions caused by drugs or alcohol, you are not eligible if your medical condition would improve by ending your drug or alcohol use. Crime or fraud: Medical conditions that are the direct result of criminal activity are not eligible for SSD benefits. If you became disabled while committing a felony, the impairment will not be seen as valid by the SSA. Applicants who are currently incarcerated are also not qualified to apply for disability benefits, but they are free to apply once they are released (provided their medical condition is not related to their crime). Similarly, applicants who are found guilty of fraud by attempting to gain SSD benefits dishonestly will be denied and prosecuted. If you believe your application for SSD benefits was wrongfully denied, you may appeal your claim. As with Social Security Disability, most initial applications for veterans disability benefits are rejected. Many veterans disability claims are denied due to simple mistakes made in the application process. Many first-time applications for veterans disability benefits are denied by the Department of Veterans Affairs (VA) due to simple mistakes made during the filing process. In these cases, the applicant may otherwise be eligible for benefits, but need to pursue an appeal in order to obtain the benefits they deserve. Lack of diagnosis, evidence or severity: Occasionally, the VA can find that an applicant’s medical condition is not severe enough to qualify for benefits. Applications for veterans benefits can also be denied if you do not have enough evidence to support your diagnosis, or if the VA is unable to access your complete medical records to confirm your medical condition and its prognosis. You must have a current diagnosed disability to qualify for veterans benefits with the VA. Similarly, if there is not enough evidence to tie your disability to an in-service event, your application is more likely to be denied. Missed deadlines: Although the VA has a reputation for its ongoing backlog of disability claims, they do have strict deadlines in place for new applicants and to file appeals. The VA may also give timeframes for responding to letters or requests for information. Missed Compensation and Pension Exam: Missing a mandatory Compensation and Pension Exam (C&P) can result in a denied claim, as the VA uses these examinations to confirm the applicant’s medical condition and disability. Information from the C&P is combined with medical records to validate a disability claim. Occasionally, veterans will not receive notice that a C&P has been scheduled for them, and they will fail to show. This missed examination can be appealed if it can be shown that the applicant was not notified. Non-service-related diagnosis: In some cases, the VA will deny a disability claim due to service connection issues. The link between a veteran’s disability and their service in the military is called a nexus and, in order to successfully claim disability, you must submit a positive nexus from a medical professional stating that your medical condition is connected to an in-service injury or event. Whether or not an applicant’s disability is related to their service is usually determined during a C&P by a VA examiner. If your medical condition was pre-existing prior to your service in the military, your claim will likely be denied. There are appeals processes for both denied SSD and denied veterans disability claims. Working with a knowledgeable disability attorney increases your chances for benefits approval. A skilled disability lawyer can help you prepare your initial application or appeal a wrongfully denied claim. You attorney can help you gather relevant medical records and other supporting evidence regarding your condition, properly complete your related documentation, and lead your appeal. 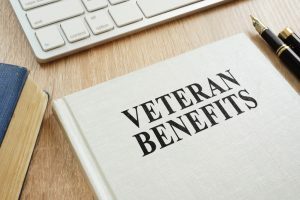 Although SSD and veterans disability applicants are not required to work with an attorney to apply for benefits or appeal rejected claims, doing so can improve your chances for approval. In fact, according to a recent survey, applicants are more likely to be approved during an appeal if they are represented by a disability attorney. Tennessee disability lawyer Michael Hartup is passionate about helping applicants successfully recover the benefits they need. If you want assistance applying for SSD or veterans disability benefits, or if you need help appealing a denied claim, please call our Jackson, Tennessee, office at 731-424-5559 or contact us online to arrange your free consultation.